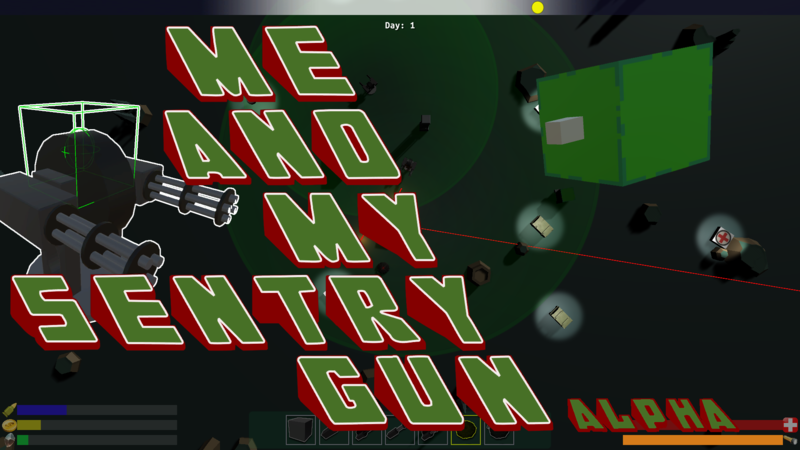 Me And My Sentry Gun is zombie like survival / TDS / tower defense game. You must survive the night while you fight of the zombie hordes. 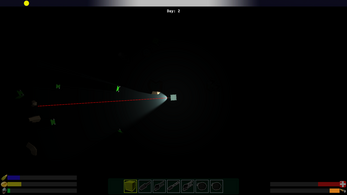 Then through the day build up you defense against the next onslaught using walls and of cause automatic sentry guns. 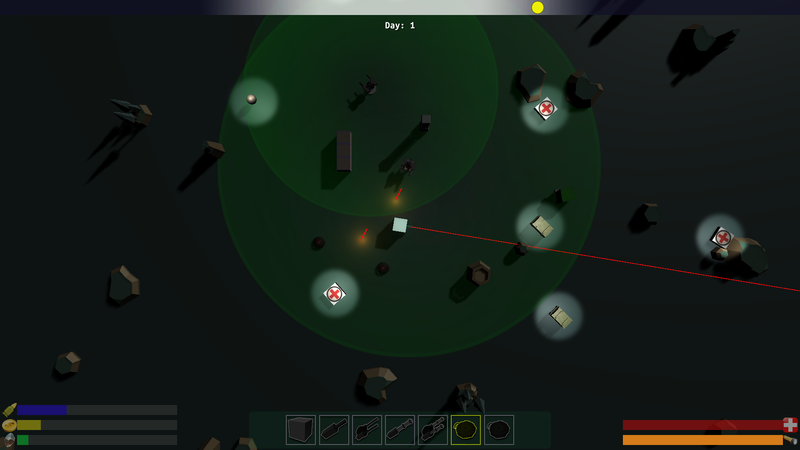 Collect ore and gold from the horde and around the map to build and upgrade you defenses. AS you progress from day to day the number and strength of the horde will slowly increase and game play will become more of a challenge. Arcade and survival game modes are planned . Currently only survival mode is available. This game will be free while in alpha for those that want to test it out and perhaps report on bugs and offer suggestions to improve game play. Due to the current control set up this game will only be available for platforms that support two button mice. So no mobile or Mac versions are planed at this time. More sentry gun types including mortars, flame throwers, missiles and lasers. More throw-able items such as decoys and grenades. Retrievable items. Allowing the player to re-arrange defenses. More zombie types that range in speed, intelligence and strength. 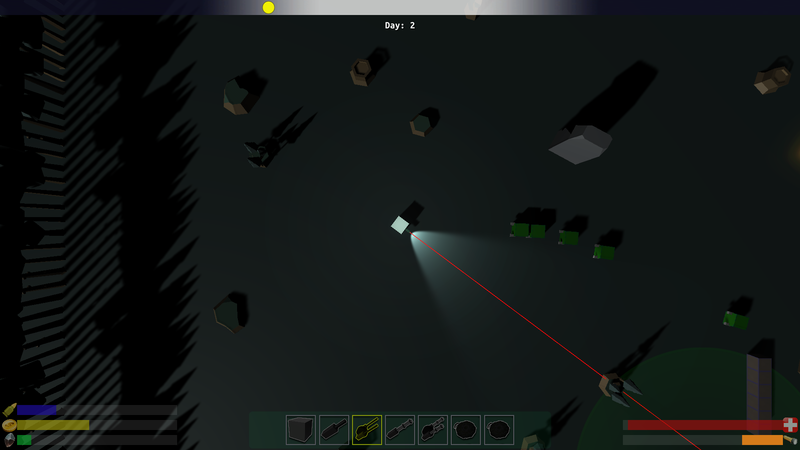 Mine-able environment that will allow the player to collect resources from mining rocks. Select-able map sizes to offer different sized play areas and hordes to the player. 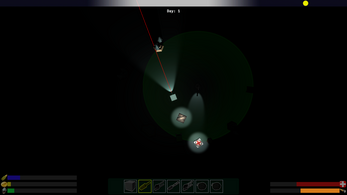 Limited sentry gun ammo supply that will require the player to reload guns periodically. Improved day night lighting cycle. Player leveling. This will allow upgrades to accuracy, rate of fire, amount of ammo, health and ore that can be carried. Increases number of turrets and special weapons. Messages don't correctly report resource shortfalls when player tries to place an item he/she can not afford. Fix: None yet. Zombies can lose track of the play if her/she builds a wall completely around him/herself. Fix for now don't do this. Destroy-able walls and fences are being implemented that will allow zombies to eventually break through and assault the player. Please note: This game is currently in alpha phase of development. The final release may vary significantly from its current state. All game play features and content are simplified while in the alpha phase so I can concentrate on developing the foundation of the game and proving features. Once the game moves to the beta phase game content and features will start to become fixed and finalized before release. If you have any suggestions for features or content; or discover a bug, please visit the discussion board and post your ideas there.